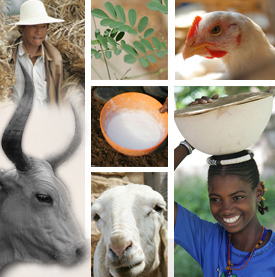 Collaboration between the Participatory Epidemiology Network for Animal and Public Health (PENAPH) and the Chiang Mai University’s Faculty of Veterinary Medicine in Chiang Mai, Thailand regarding participatory epidemiology (PE) has taken place since 2009. After a short briefing course on PE in March 2010 by Dr Jeff Mariner from the International Livestock Research Institute (ILRI), the Veterinary Public Health Centre for Asia Pacific (VPHCAP) decided to include a full 10-day course on PE as part of the short training course on Surveillance, Emergency Preparedness and Response from 12 July to 6 August 2010. Two ILRI facilitators provided the course for a total of 24 participants from 13 different Asian countries (Bhutan, Cambodia, Indonesia, Lao PDR, Malaysia, Mongolia, Myanmar, Nepal, Pakistan, the Philippines, Sri Lanka, Thailand and Viet Nam). Nine of the participants are students of the Masters in Veterinary Public Health at the above-mentioned centre. The participants were very receptive to PE approaches and many mentioned that they would be applying them in their day-to-day work. As part of the training course, five field practices were organized (two on dairy cattle, two on poultry and one on pigs) so that all participants had the opportunity to practise an interview while in Chiang Mai. The course was successfully completed and we hope that this is a first step to more PENAPH work in Asia in the future. I am looking for training on veterinary public health courses. if you having short courses on that please let me know.